During a recent Reddit AMA, director Guillermo del Toro acknowledged that, while he’d still love to make another Hellboy film, doing so has “proven almost impossible to finance.” The director claims he’s “gone through basically every studio and asked for financing, and they are not interested.” Del Toro added that both Hellboy films roughly broke even in their theatrical release, but both earned a substantial amount on DVD. But while the home video market was once a guarantee that virtually any movie would become profitable, given enough time and aimless trips to the video store, now that said stores are quickly becoming obsolete, studios are less willing to take a chance on a film that isn’t an immediate hit. Having accepted he wasn’t going to be able to make the film, del Toro decided he may as well give away the plot of the movie his fans won’t be able to watch. 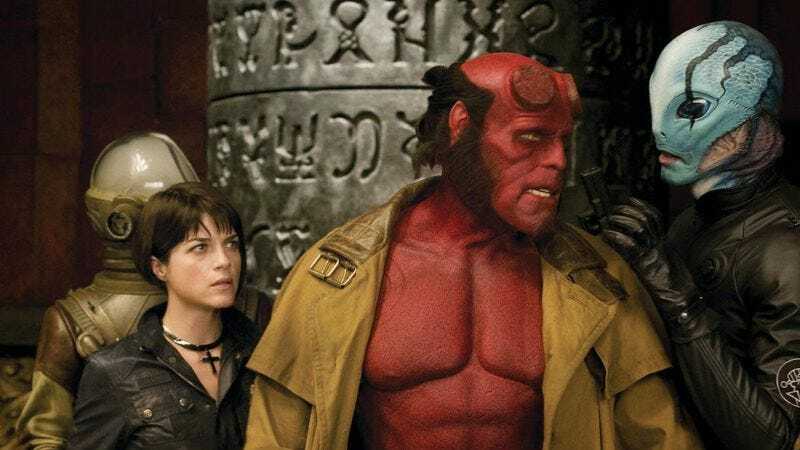 “The idea for it was to have Hellboy finally come to terms with the fact that his destiny, his inevitable destiny, is to become part of the Apocalypse,” he explained, “and having him and Liz face the sort of, that part of his nature, and he has to do it, in order to be able to ironically vanquish the foe that he has to face in the 3rd film.” So, we’re still not sure what the third movie is about, per se, but we are pretty sure Guillermo del Toro has access to some pretty powerful weed. We’re also mourning the lost opportunity to see an action movie where the villain is defeated “ironically,” perhaps by being gagged with a trucker hat. Del Toro stuck around Reddit, giving in-depth, less-rambling answers to questions about Pacific Rim, Pan’s Labyrinth, and some of his other films—and, of course plugging The Strain.